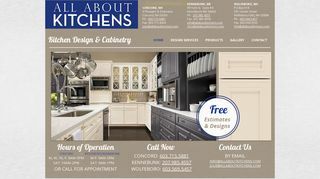 All About Kitchens – Kitchen and bath design, cabinetry, countertops and remodeling. Showroom located in Wolfeboro Falls, New Hampshire. – Kitchen and bath design, cabinetry, countertops and remodeling. Showroom located in Wolfeboro Falls, New Hampshire.